Following the success of the jukebox musical Dreamboats and Petticoats, Bill Kenwright presents another musical utilising the hit songs of a bygone era. Save The Last Dance For Me has a book by famed television writers Laurence Marks and Maurice Gran and centres around two young sisters in the early 60s who embark on a holiday to Lowestoft, without their parents, encountering potential romance along the way. When the younger sister falls for a black soldier stationed at the local US Army base trouble begins to brew. As a stage musical Save The Last Dance For Me comes across as something of a dual aspect show: There is the concert element with the US band playing and singing on the club stage, which works well, and there is the play element where the plot is grafted between the songs (of which there are far too many), albeit clumsily. The book by Marks and Gran has some wonderfully funny lines and moments but it is drastically under-developed and the mixed-race relationship subject is treated weakly. It's a subject that needs detailed and thorough work, even in a comedy, and consequence and repercussion are sadly missing from the paper-thin plot. The fact that the numerous songs often have only the slightest relationship to the action or plot and do not evolve out of the spoken dialogue naturally makes for a rather clunky musical construction and one ultimately wonders if there is much point to the plot's existence to begin with. better structured under a more competent director and the same could be said of the choreography of Bill Deamer whose work seems surprisingly limited here. The set design by Mark Bailey (who also designed the pleasant costumes) is primarily that of the US base bar and that particular set highlights the onstage band excellently. Most other aspects of the set, however, seem almost to be an afterthought, like much else about this production. The sound design also needs more work because, whilst the band sounds quite brilliant, the vocals are often lost in the bass-heavy sound produced. The entire cast make the most of the limited material they are given and there are some truly great voices onstage including that of Lola Saunders as elder sister, Jennifer. Saunders really impresses as the more vivacious sister and she is someone to look out for. Jason Denton's charming Curtis is blessed with a smooth voice and an attractive presence whilst Alan Howell's Carlo is endearing and humorous. Marie, the younger sister, is a sweet and tender role and Elizabeth Carter plays and sings it to near-perfection. It's quite stirring that the cast can impress as well as they do with the restricted dialogue they have but there is no-one onstage who gives less than 100% whether singing or not. Former Blue boy-band member Antony Costa, as Milton, is also a pleasing presence and his voice is showcased well. The band, who also serve as members of the cast, are wonderful and should be worked into the script more. It would appear that nostalgia concerts, where original artists (or not) perform a set list of songs from a particular era, are no longer enough and that songs must now serve a function in a larger contextinstigating the creation of a plot around them. 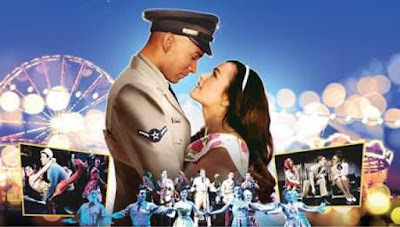 The jukebox musical format has given the public some great success stories (Mamma Mia being perhaps most prominent) and some less successful (Viva Forever, one of the most unfortunate) and Save The Last Dance For Me is evidently one of those that the audience clearly enjoy (they are actively encouraged to sing along) yet it is ultimately a dramatically unsuccessful musical. The plot holds an interesting, yet undeveloped, idea and the songs used do not really serve to move the action forward and there are far too many of them. A reworked, song-trimmed, version may be a more intriguing and satisfying production but in its present state Save The Last Dance For Me is a case of go for the songs not for the plot.